In this article, I will be showing you how to rename a Windows 10 computer name. 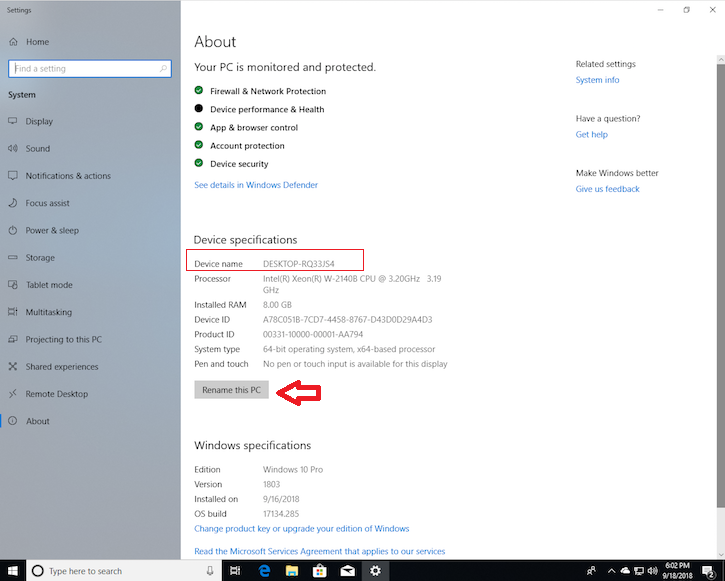 Windows 10 has made it much simpler renaming a computer by putting it in the new Settings menu. Right click on the Start button and the click on System . In the About menu, you should see the name of your computer next to PC name and a button that says Rename PC. Click this button. Type the new name for your computer. You can use letters, numbers and hyphens -- no spaces. Then click Next. 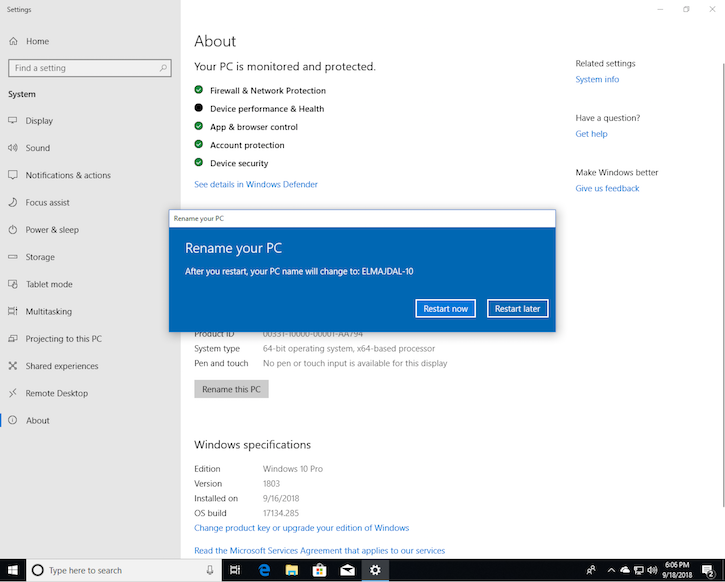 A window will pop up asking if you want to restart your computer now or later. If you want to change to the new name immediately, click Restart now to restart your computer. If you don't want to restart your computer right this second, click Restart later. Your computer's name will be updated the next time you restart it. Once the computer restart is done , log in and open Settings to confirm that the computer name is renamed .